I've been busy the last few days putting together a book video for my Christmas Romance, The Promise. If you have time, please check it out! I've included both You Tube and Veoh formats of The Promise! Blogging over at the New Concepts Publishing Word Press Blog! I blogged about my latest release with New Concepts Publishing, Enchanted Beauty over at the New Concepts Publishing Word Press blog. Please drop by and leave me a comment if you are so inclined! If you read the entry and shoot me an email to the address listed, you'll be entered into a drawing for a free download of Enchanted Beauty! 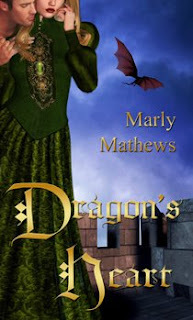 Dragon's Heart was reviewed by Kathy from Kathy's Review Corner! Here's a tidbit of her review,Dragon's Heart was another fascinating paranormal teeming with interesting characters, unique cultures, villains, heroes, and ultimately love. I enjoyed the banter and romance between the hero and heroine. There are also several characters who I would like to see have future stories. And although I thought the beginning had a bit of information overload, I truly enjoyed this story. I am eager to find out where this author will take her readers next. In other news, I've recently finished off another book, and I'm working on two projects now plus doing edits for a third. The weather is going crazy here, we've had rain, snow and rain again all in one day. But then, the weather conditions across North America seem to be going nuts this weekend. I'm off to work on some more writing! Have a happy Sunday, everyone! Today marks Remembrance Day up here in Canada. 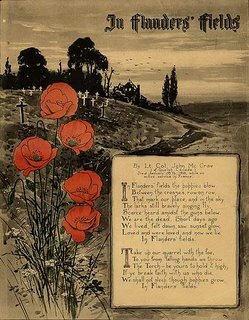 Canada, The Countries of the British Commonwealth and The United States view the poppy as the recognized symbol for their war dead. So, take a moment out of your day today to simply, remember. 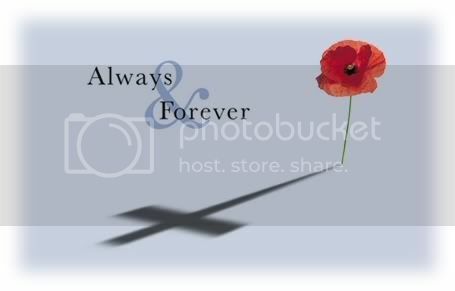 Today when the clock strikes 11 am, take a moment of silence to remember. I found this video on You Tube and I couldn't help but post it here. If you are fans of the british sitcom The Vicar of Dibley, you'll realize this is a dream sequence the Vicar, Geraldine Granger has during this episode. The clip features guest stars Richard Armitage and Keeley Hawes. I hope everyone is having a good Wednesday and that this video gives you a good chuckle to start out your day. Winners please contact me at this email address marly AT marlymathews DOT com to collect your prize. Please contact me by November 8th. Here's the list of winners! Thanks for dropping by my blog and leaving me comments!